A not so popular iPhone hacker with the handler msft.guy has managed to port Blacksn0w iPhone 3.1.2 unlock tool for iPhone OS 4.0 Beta 4. The port is still buggy and requires you to run the patch every time you reboot your iPhone 3GS and this is strictly only for experienced users and developers. The method requires you to preserve baseband while upgrading to iPhone OS 4.0, which can be achieved using PwnageTool 4.0 or using custom firmware as we had reported for iPhone 3GS 4.0 jailbreak. 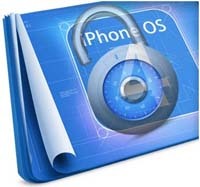 Once you have iPhone OS 4.0 with Baseband 05.11.07 on iPhone 3GS you can simply run Blacksn0w to unlock iPhone OS 4.0. Below is video as proof of concept, showing Blacksn0w unlocking iPhone 3GS 4.0 Baseband 05.11.07. Even though it sounds quite simple and easy to do it, but we strongly recommend not to risk your iPhone for this experimental Blacksn0w unlock tool. Wait for iPhone dev team to officially release their jailbreak and unlock tools for iPhone 4.0 OS which will be soon after WWDC 2010.
iPod Touch 4.0 will also be possible to jailbreak with Sn0wbreeze 1.6 tool from iH8snow. Jailbreak iPhone 3G/3GS 3.1.3 with Spirit or Redsn0w 0.9.4 or Pwnagetool 3.1.5, You can unlock iPhone OS 3.1.3 with Ultrasn0w 0.92. iPad 3.2 can also be jailbreaked with Spirit.